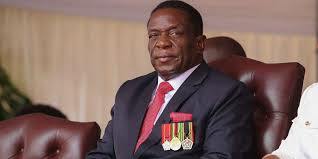 President Emmerson Mnangagwa spent the better part of yesterday at his Munhumutapa offices as he knuckles down to engineering economic turnaround. While many workers enjoy the “five-day weekend” that started with Unity Day, the President was hard at work on Friday and yesterday. The Sunday Mail spotted his motorcade outside Munhumutapa Building, the seat of Government, in the morning and again later in the day. This was despite the President having gone through a packed week that began with the change of the military guard, the State of the Nation Address and engagements in South Africa. Officials close to him say a new work ethic was becoming evident across several departments in the Civil Service. At his maiden Cabinet meeting, President Mnangagwa directed his team to present star projects that transform livelihoods and to think outside the box. A number of ministers confirmed cancelling festive travel to concentrate on their respective assignments geared toward economic revival. On his inauguration, President Mnangagwa implored civil servants to embrace a new work culture. “To our civil servants, it cannot be business as usual. You now have to roll up your sleeves in readiness to deliver. We have an economy to recover, a people to serve. Each and every one of us must now earn their hour, day, week and month at work. “Gone are the days of absenteeism and desultory application, days of unduly delaying and forestalling decisions and services in the hope of extorting dirty rewards. That will have to stop. “A new culture must now inform and animate our daily conduct. Our offices must speedily answer questions and generate solutions awaited by our customers, be they our citizens or well-meaning outsiders who want to join in the recovery of our economy.